In the Arctic, the order affects the Chukchi Sea, Beaufort Sea and Cook Inlet, where one of the world’s last remaining great salmon runs still exists, although experts predict a weak Cook Inlet salmon run this year. The federal government itself has estimated a 75 percent chance of a major oil spill in the Arctic’s Chukchi Sea if drilling proceeds there. But President Trump is undeterred by such warnings. The order also lifts requirements for Exploratory Drilling on the Arctic Outer Continental Shelf, air quality control and safety of drilling in the Gulf of Mexico. The order also directs the Secretary of the Interior to implement a streamlined permitting approach for privately funded seismic data collection to determine offshore energy resource potential. Seismic testing is detrimental to whales. It deafens them and interferes with the ecolocation capabilities they use to find food and mates. According to federal government estimates published in 2015, as many as 138,000 whales and dolphins along the U.S. Atlantic coast from Delaware to Florida could be injured or possibly killed if seismic blasting is allowed. Yet among the rules Trump has ordered rescinded or revised is the Technical Guidance for Assessing the Effects of Anthropogenic Sound on Marine Mammal Hearing and the Incidental Take and Incidental Harassment Authorizations and Seismic Survey permit applications under the Outer Continental Shelf Lands Act, and the Marine Mammal Protection Act. That means that whales and other marine mammals may be injured or killed in greater numbers without consequences than is permitted today. But Trump says increased offshore energy production will increase American energy supplies, revenue and jobs. “I am going to lift the restrictions on American energy, and allow this wealth to pour into our communities,” said Trump. 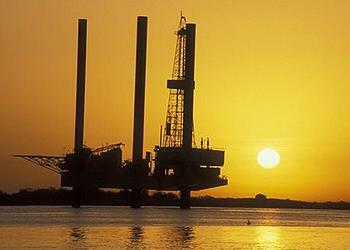 In 2008, federal leasing revenues for the Outer Continental Shelf were nearly $18 billion dollars. By contrast, in 2016, after eight years of the Obama administration, leasing revenues were approximately $2.8 billion. “We don’t have to start from scratch,” Zinke told reporters Thursday night. He said a review will likely take at least two years and the current five-year plan will remain in place in the meantime. Zinke said the Interior Department is planning no set outcome of the review. “We’re going to give local communities a voice,” he promised. The states of California, Oregon and Washington immediately made their opposition known. Naturally, environmental, conservation and clean energy groups are opposed to Trump’s new policy. The Wildlife Conservation Society, WCS, based on New York’s Brox Zoo and active in conservation around the world, raised concerns with the new executive order that could withdraw protections for offshore areas, including the Hudson Canyon off the coast of New York. In November 2016, the Obama administration approved the latest schedule for oil and gas lease sales that would have lasted for five years until 2022. That schedule is now under review. The White House says the Outer Continental Shelf is expected to contain 90 billion barrels of undiscovered technically recoverable oil and 327 trillion cubic feet of undiscovered technically recoverable natural gas. “Good stewardship of our lands and waters and responsible offshore development are not mutually exclusive,” Zinke said. But environmentalists are sceptical. “This attempt to greatly expand offshore drilling into the Arctic and Atlantic is a blatant prioritization of fossil fuel profits over the health of our climate and coastal communities. President Trump is ignoring the cries of citizens who have said offshore drilling poses too great a threat to their economies and ways of life,” said Marc Yaggi, executive director of Waterkeeper Alliance. The Natural Resources Defense Council is outraged and will fight the Trump drilling policy. “More drilling will also set us back in our fight against climate change, shackling us to the heavily polluting fossil fuels of the last century, driving more carbon pollution and slowing America’s transition to clean energy,” said Suh. NRDC Action Fund Members, NRDC and the NRDC Action Fund are fighting back with every tool at their disposal. Lawyers are already preparing to challenge Trump in court, the Stop Arctic Ocean Drilling Act (H.R. 1784) has been introduced in the House.